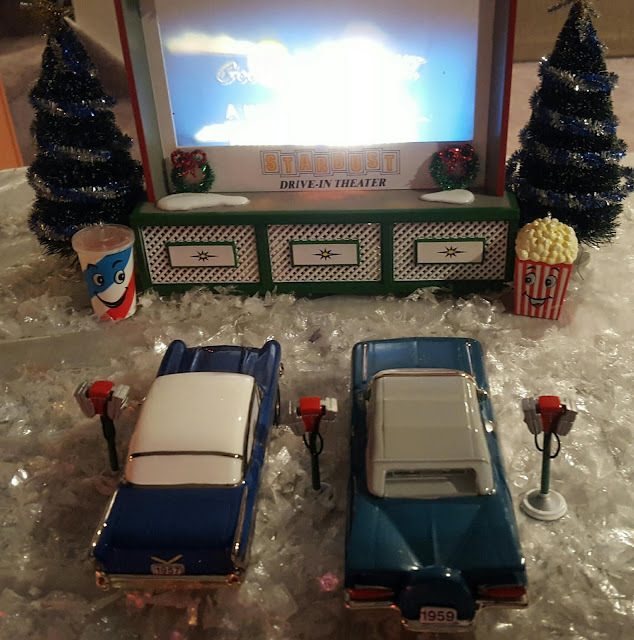 We got this wonderful Drive-In theater set from my niece for Christmas! We're going to display it all year because it's so amazing and I'll add cars. I do need to figure out how to add it well to the suburb side of the village. It's awkward now. I love the window art!